The item The FP represents a specific, individual, material embodiment of a distinct intellectual or artistic creation found in Evansville Vanderburgh Public Library. Two rival gangs feud for control of rural wasteland Frazier Park ('The FP') in the deadly arena of competitive dance-fight video game "Beat-Beat Revelation." After hometown hero BTRO is slain on the dance platform by thug leader L Dubba E, his protǧ y̌ounger brother JTRO (Jason Trost) goes into isolation, vowing never to duel again. One year later, The FP is in ruins, and JTRO must find the courage to return and restore order in a ruthless battle for revenge that can only leave one man dancing. 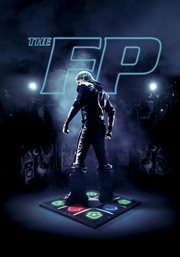 From the producers of Paranormal Activity and featuring narration by James Remar (The Warriors), The FP is a fury of fierce footwork, triumphant montages and neon street wear that Moviefone calls "a rare ready-made cult hit."